For info or registration contact Phil or Katie 310/ 644 3695 or e-mail at tcla@earthlink.net. 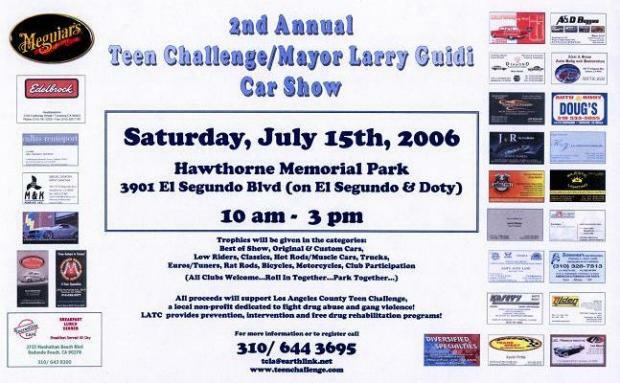 All proceeds will support Los Angeles County Teen Challenge, a local non-profit dedicated to fight drug abuse and gang violence! LATC provides prevention, intervention, and free drug rehabilitation programs!